In April we put together our favorite photo shoot to date. Once again, Alison Conklin worked tirelessly, capturing every detail down to the wedding rings and the cake crumbs. We got about half of our furniture in place when the rains came. It rained for a good hour or more as we set up. But the show must go on and we just prayed it would stop when we really needed it to. Inside, our fearless allies kept plugging away. 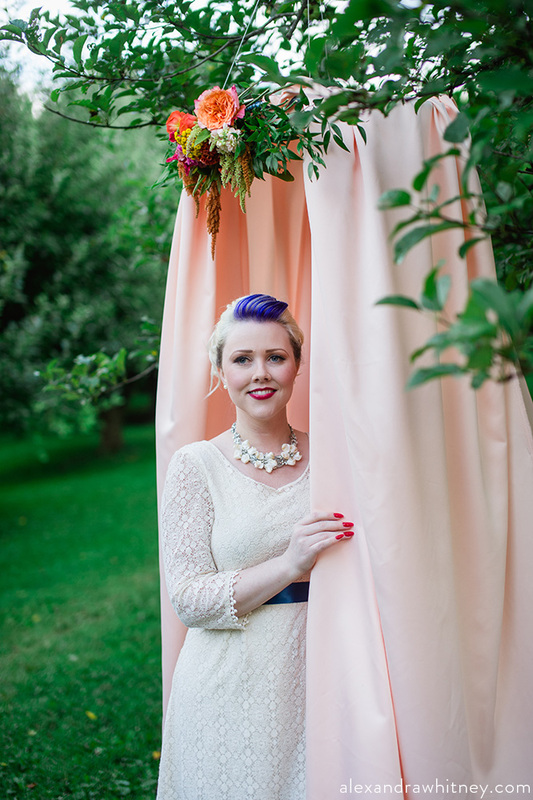 Naomi Storey, owner of Storey Threads modeled a vintage, lace wedding dress for us. Steve, a waiter from the best restaurant in town, Bolete, stepped in as "groom". While the rain poured and our moods soured, Kelly Quinlan from Face The Occasion did Naomi's make-up. She gave her a fresh Spring look that really brought out her gorgeous eyes. Jill Kozar from Up Your Do wowed us with the loose braid she did for Naomi. 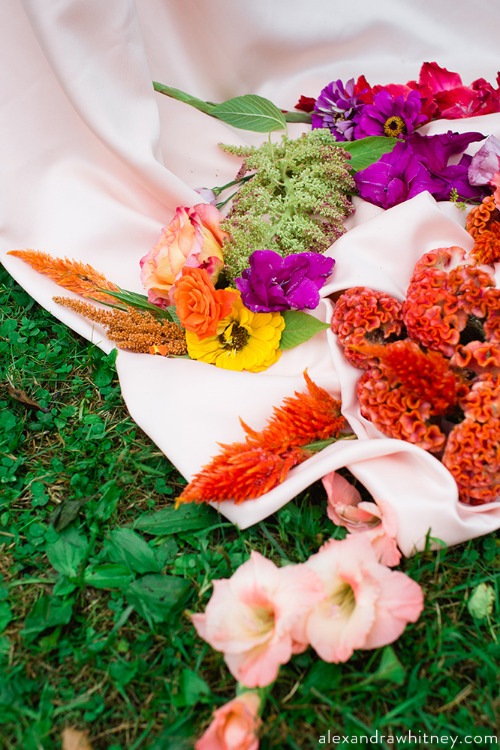 Sarah, from Allium Design provided the incredible florals and provided styling assistance as well. It was pleasure to watch her work. She makes it look so easy, but her arrangements come out flawlessly organic. By the time we were ready, the rain hadn't let up. But that's what vintage umbrellas are for! We had just gotten our Geraldine Vanity and were so excited to see her in action. So, here she is. Every Bride needs a place to freshen up. We couldn't wait to get our hands on these desserts from The Flour Shop in Bethlehem, PA. They provided delicious macaroons, almond cookies and our delightful bunny-topped cake. The cake topper is from BHLDN. This dress that we used for the second part of the shoot is also from BHLDN. Naomi styled herself with jewels and a vintage, fuschia, birdcage veil. A huge, heartfelt thanks goes out to everyone who participated in this shoot. We loved this team! In spite of the rain, it turned out to be a gorgeous shoot. We're so proud of these photos and the efforts of all who made them as beautiful as they are. We can't thank Alison Conklin enough for her participation in the building of our business. We could not be here without her. She is immensely talented and incredibly kind. Abby and I are so thankful for her friendship. This is the last of our photo shoots with her for now. So, enjoy!